Since I've not been working, I've been spending my time volunteering in a local charity shop. I was never made to spend 24/7 at home and so volunteering in my free time seemed like that logical thing to do. I loved it! But finished a few weeks ago because I have been offered a new job and then planned to go on my travels. The customers in charity shops are often different to ones you'd find in other shops, they could be older people or even have disabilities and with them you have to be patient. They may take longer to do things, they may require your assistance and I've really loved serving and helping them. It's taught me to be patient with everyone. And that they'll be patient with you too! A large majority of customers that walk into charity shops, well definitely the one I worked in, loved to chat. And I loved this. I'd simply be merchandising stock onto shelves and you'd find someone chatting to you - it's the best! You have to be friendly and approachable to work front-of-house in a charity shop I reckon. Like with most retail, always take positive customer feedback and run with it. We'd have so many complimenting a window display or a selection of stock. It was great to hear that someone was appreciating someone else's hard work. There's always something to do when you're volunteering in a charity shop! Whether it's sorting donations, steaming clothes, putting out donations, pricing, sorting displays, getting rid of out-of-date stock (culling)... Being hands on and willing to get stuck in bodes well in volunteering. One biggish thing I've learnt from volunteering is how to spot if something's fake. You often need the ability to do this so you can price something appropriately. But fabric, print and logos are usually a big giveaway. How much you can donate yourself! This was a big one for me. Through volunteering and seeing what others bought in I realised how much rubbish I hoard myself and could actually donate. So I did. I took in 5 or 6 bags of unwanted goods that I just wasn't going to use or didn't need. I'm not sure whether or not to include this one, but I've found volunteering in a charity shop isn't as intense as other retail. Don't get me wrong I've loved every kind of retail' I've worked in so far. 'You obviously want to sell as much as you can but you don't have huge huge huge targets to meet. 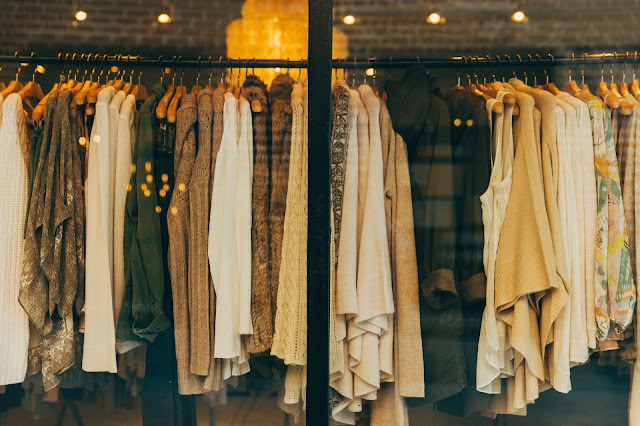 You want to make sure you do the best you can but customers will often buy from a charity shop if they find a bargain so it's very varied day to day. One reason I wanted to volunteer in the first place was because in some way I was helping the charity and the cause they support. And the more I volunteered, the more I felt great about this. And this could be a big motivator for you too potentially. As I mentioned, I loved volunteering and if you do have some spare time I'd definitely say consider it. It's a great way to keep yourself busy and active and most charity shops always welcome as much help as possible. I've learnt a few bits along the way as well as you can see so it's been a great experience. And would definitely do it again should the opportunity arise. But I'd say anyone with the time go for it! Have you done any volunteering? What did you think of the experience?